I don't know about you, but one thing I hate about going to the grocery store is putting my groceries in the trunk and then finding them all over the place when I get home. No matter how I seem to line them up something always falls over and ends up clear at the back of the trunk. Then I find myself nearly having to crawl in the trunk to even reach it. I'm sure you've had a similar situation and can relate to my trunk issues in one way or another. 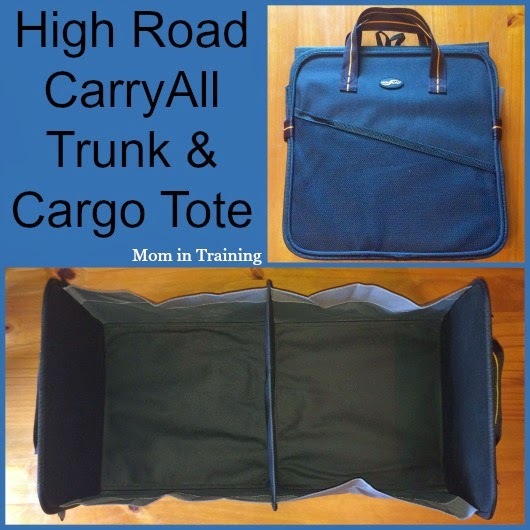 Thankfully I don't have to worry about that problem anymore now that I have a High Road CarryAll™ Trunk and Cargo Tote. As you can see from the photo it starts out nice and flat at about 12" x 13" and doesn't take up much room when not in use. Then when you need it you just open up the Velcro at the sides and it easily unfolds into the perfect trunk organizer. It even has bottom panels for added support and an exterior mesh pocket. It's a roomy 24" long and 13" wide holding lots of groceries (or other necessities). 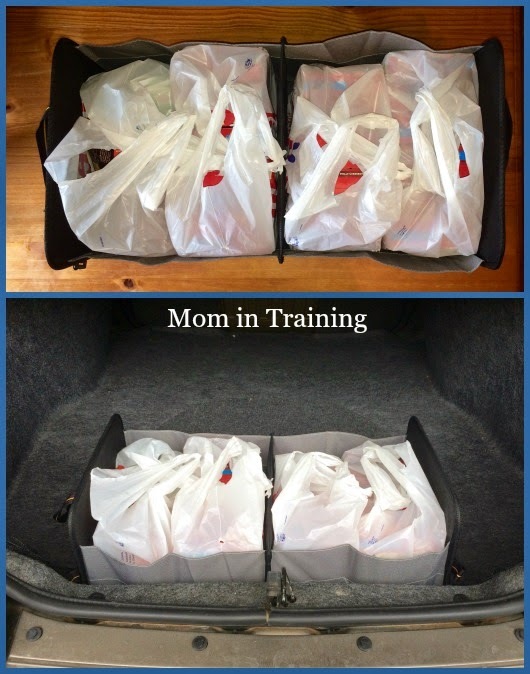 The first time I used my cargo tote was for a "quick trip" into the store. I thought I was just picking up two things when I saw a good sale on something else, and well you know what that meant. I ended up with four sacks full of groceries, but that was okay because I had my cargo tote in the trunk ready to go. I opened it up and dropped in all of my grocery sacks. Then when I got home I just picked it up by the end handles and carried the whole thing inside to my kitchen table. That made it so much easier than trying to carry all the bags individually plus my purse. I like to go to Sam's Club and the Farmer's Market in the summer so I'm really looking forward to putting it to good use on those trips too! Buy it: You can purchase this and other great car organizers online. Great that it is durable and easy to clean. Lots of things get piled in the truck. Very useful. I could definitely use one of these in my trunk space. I'm so tired of my grocery bags falling over and the stuff just rolling around.